My sweet grandmother hasn’t used a microwave for as long as I can remember. 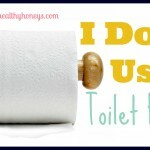 She tells us it isn’t good to use, and that it was bad for our health. Well I wasn’t quite sure about that, but when my hubby and I decided to get married we also decided that we didn’t need a microwave. We would just use our cute little toaster oven, stove and oven. 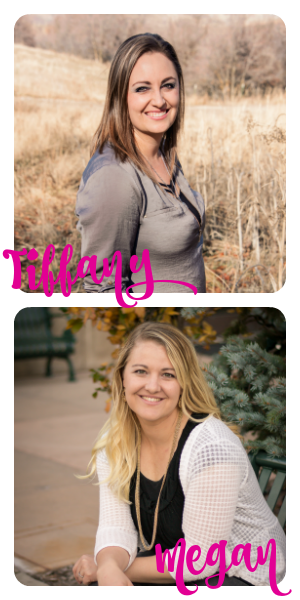 We didn’t even know what a good choice we had made, until I started to research it more (Maybe grandmas are right after all). I figured the first place to start was the beginning. So how did microwaves come about and then become a common household appliance? 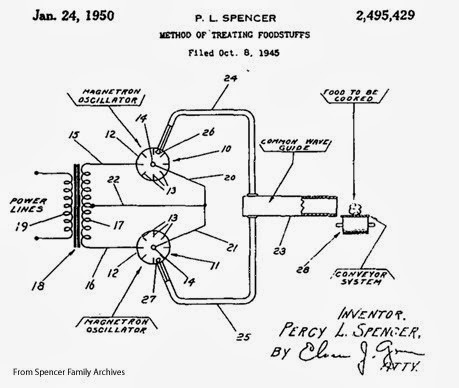 Percy Spencer invented the Microwave. He is the most commonly known person for inventing the Microwave even though there were more contributors. It was accidentally discovered in 1945. It was an accident because in WWII the British shared with us the magnetron technology. It was discovered because a chocolate candy bar melted in Percy Spencer’s pocket when working with an active radar set. Percy Spencer was in the Raytheon Company during WWII, which was in charge of putting together and producing the magnetron technology. Percy Spencer’s first test food was popcorn. The next was an egg, which exploded into some of the experimenters faces. To verify his finding, Spencer created a high density electromagnetic field by feeding microwave power from a magnetron into a metal box from which it had no way to escape. When food was placed in the box with the microwave energy, the temperature of the food rose rapidly. Thank you to this Site for providing the image. 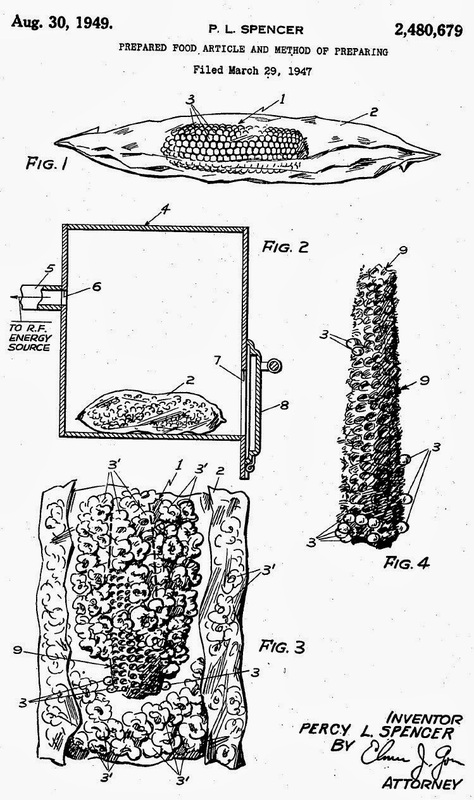 On October 8, 1945 Raytheon filed a US patent for Spencer’s microwave cooking-process. Microwaves didn’t really hit the market for homeowners until the 1970’s, when it was finally affordable. Often called “electronic ovens” in the 1960s, the name “microwave ovens” later became standardized, often now referred to informally as simply “microwaves”. Though most people know that microwave ovens actually use microwaves, the actual wave frequencies, people most likely don’t know what that really means. · It is a form of electromagnetic radiation- waves of electrical and magnetic energy moving together through space. · They are second lowest on the EM radiation spectrum. Radio waves being the lowest energy, and Gamma rays and x-rays being the highest energy. · They are generated from a magnetron. · Is a term derived from the words “magnet” and “electron”. · Magnetron is a tube in which electrons are subjected to both magnetic and electrical fields, producing an electromagnetic field with a microwave frequency of about 2,450 megaHertz (MHz), which is 2.4 gigaHertz (GHz). When you place your food into the microwave it is heated by what is called dielectric heating. Many molecules, such as those of water, are electric dipoles, meaning that they have a partial positive charge at one end and a partial negative charge at the other, and therefore rotate as they try to align themselves with the alternating electric field of the microwaves. Rotating molecules hit other molecules and put them into motion, thus dispersing energy. This energy, when dispersed as molecular vibration in solids and liquids (i.e., as both potential energy and kinetic energy of atoms), is heat. Many people have noticed that when you microwave your food it heats unevenly.’This is because in some foods the water molecules are not all evenly placed. Also Microwaves don’t heat from the inside out. They heat the outer layers and where the water molecules are and then that friction can heat the inside, but not always. We got a good laugh from this. But in all seriousness, what could be so dangerous about using a convenient method of heating food? Why? 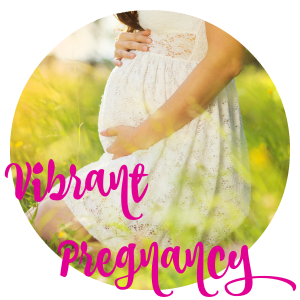 Because….1) Microwaves damage the nutrients in food. 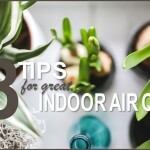 2) Can cause microwave sickness. 3) Can create cancer causing agents. 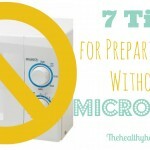 1) Microwaves damage the nutrients in food. Here’s the thing, when you heat up anything in anyway it will most likely lose some part of its nutrients. This is most especially true for vegetables and fruits. So, to get the most nutrients would be to have natural, organic, and raw (in most cases) vegetables and fruits. 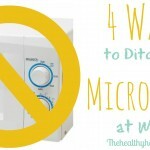 There have been scientific studies done, however, that show that microwaves alter some of the nutrients and can deplete them more so than other methods of heating. A study published in the November 2003 issue of The Journal of the Science of Food and Agriculture found that broccoli “zapped” in the microwave with a little water lost up to 97 percent of its beneficial antioxidants. By comparison, steamed broccoli lost 11 percent or fewer of its antioxidants. 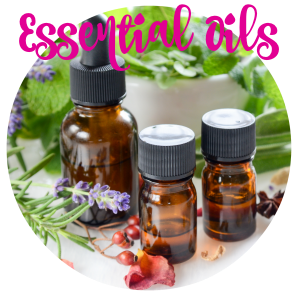 There were also reductions in phenolic compounds and glucosinolates, but mineral levels remained intact. In a study of garlic, as little as 60 seconds of microwave heating was enough to inactivate its allinase, garlic’s principle active ingredient against cancer. But when things are cooked in the microwave on high power it will lose more nutrients than when cooked on the stove or in the oven. This crude experiment done by John Andrews simply shows that microwaves on high power or low power does make a difference. He got two cd’s placed the same songs and same amount of songs on them and then placed one in the microwave at a low power for 3 ½ minutes. He tested to see if it would still work in the CD player and it did. There certainly are changes that occur to your food when you put it into a Microwave Oven. What in the heck is that?! (I know I had never heard of this). 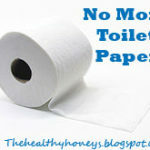 Happens when tissues directly exposed to microwaves are subject to the same deformities molecules go through. Cell phone towers can also emit this type of radiation. To read more about Microwave Sickness go here and here. 1. Microwaved foods lose 60 – 90% of the vital-energy field and microwaving accelerates the structural disintegration of foods. 8. Microwaved foods lowered the body’s ability to utilize B-complex vitamins, Vitamin C, Vitamin E, essential minerals and lipotropics. Now, I know there is a lot of controversy on this subject. Perhaps I am on the loco side and going beyond what is necessary to be healthy. But, something tells me that microwaves aren’t natural. They weren’t here a hundred years ago and somehow food still was made. (I realize not everything a hundred years ago was perfect… I also realize not everything today is horrible. I was just saying for an example). They do emit frequencies that have the potential to be harmful. It does change the make-up of our food that is microwaved. It can create a sickness. That to me says, grandma’s right. Who needs a microwave? And honestly my hubby and I don’t even miss the microwave. A little time management, patience, and effort and you can cook anything with out the microwave. FYI, unless you have a seriously defective microwave, it won’t expose your tissue outside of the box. Looking at the microwave won’t do anything because the screen is opaque at the microwave wavelength. For most people, living next to a power line is far worse than using a microwave, as far as radiation is concerned. That said, your stuff about nutrition looks well researched. All the chemists I knew never used their microwaves. If your first statement is true, then why does one often see posted on the entry door of establishments: Caution, microwave oven in use. People with pacemakers have to avoid microwaves ~ a large part of the warnings you see. So here is a thought. I work in an office. I always have leftovers b/c it is just me and my husband and I like to cook. I need to heat leftovers up for lunch and we have no stove at the office and a toaster oven is out since in most office buildings they are considered a fire hazard. So instead of reheating the delicious and healthy food that I make at home in a microwave at work, I should do what? 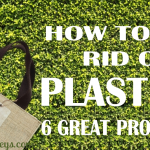 Use a plastic thermos? Eat sandwiches every day? Go out to lunch and not know what I am eating? Sorry, no. The thing that makes me really angry about articles like this is they don’t take the above into consideration. Was there one suggestion as to how millions of people like me are to eat at the office? Nope. Just a “A little time management, patience, and effort and you can cook anything with out the microwave.” Sorry, that is not accurate for me or millions of others who brown bag it every day. I agree. Not every situation is easy. 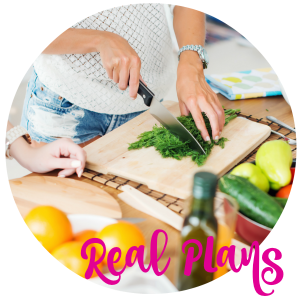 Nothing about eating real food is easy. You have to think outside the box and do some digging to source the foods you want to eat. Just like real food, not using a microwave isn’t easy. We have microwaves because they are easy. That being said, we will address some options for you in an upcoming post. 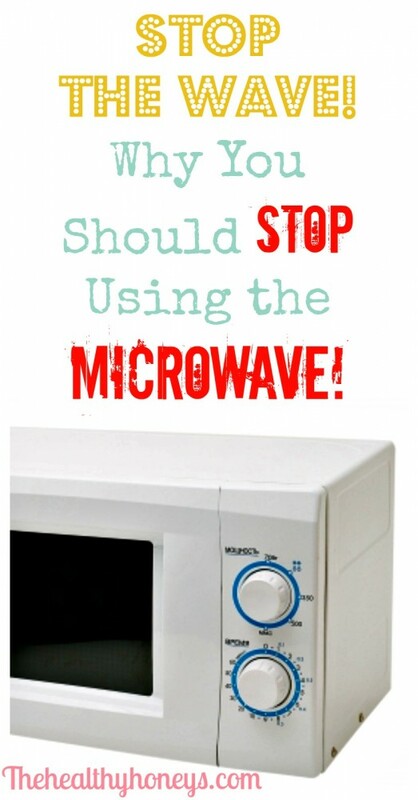 The article gave you a tip if you must still use a microwave. Perhaps you should read it again with a more open minded attitude. And the reality is make an excuse or make a change. It’s entirely up to the will power of the individual. Where there’s a will there’s a way. Well you could eat salad, tuna salad, cold type soups,wraps, sandwiches,chicken salad, there are dozens if not hundreds of things you could eat that don’t require heating. Now it’s perfectly acceptable to decide this article is bollucks and keep using a microwave….but not being able to reheat leftovers is an excuse. If something is really important to you, you find a way to make it work. Quite interesting this sentence “microwaves aren’t natural. They weren’t here a hundred years ago and somehow food still was made”. So why to use fire? Fire was only introduced in the preparation of food only 125,000 years ago, while human species exists since ~1 million years and most of its evolution and food adaptation is not developed around cooked food. Also humans are the only species using fire to prepare food, so it’s unnatural too. Fire destroy lot of nutrients too. And fire is very dangerous when it gets in contact with human tissues! it can cause burn, and burned food can cause cancer too! When are you going to write an article about how harmful is fire for human beings? I’d love to hear how your fondant turns out without the microwave. 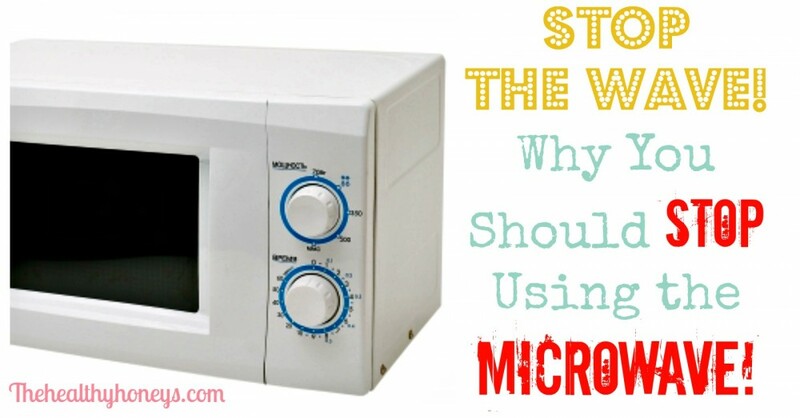 I never felt comfortable with a microwave, but felt we “had” to have one or how would we survive? When ours broke 15 years ago, we decided to see if we could live without it. YES. Food reheated on the stove is so much better. I was always uncomfortable that pregnant women shouldn’t stand in front of a microwave, but we let our toddlers stand in front. What’s the difference? Most of my friends think I’m nuts, but I will never go back. 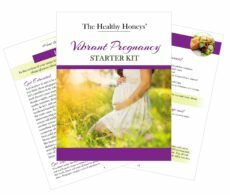 “Several studies have shown that if properly used, microwave cooking does not affect the nutrient content of foods to a larger extent than conventional heating, and that there is a tendency towards greater retention of many micronutrients with microwaving, probably due to the reduced preparation time. [ Microwaving human milk at high temperatures is contraindicated, due to a marked decrease in activity of anti-infective factors. The very act of heating your food results in this excitation of molecules – that’s the point! You can create carcinogens just as easily on the stove by browning, burning, or frying with olive oil. You can deplete nutrients just as easily on the stove by overcooking. The problem is not the microwave but the degree of heating and the food being heated. It’s very easy to overcook your food in the microwave because of the uneven heating. But the microwave itself is not the problem. The microwaves do not escape the specially designed chamber – the door has a screen with specifically sized holes to contain it. Of course radiation does damage to humans. The same molecule rocking will cook you in the same way as your steak. Even faster excitation can damage cells and dna. Another term for heat? Thermal radiation. …is yet to be determined. But you can’t demonize the microwave over any other device in this regard. If you want to avoid this you would also need to avoid electricity. At best dont put your face in front of it as EMF waves dissipate exponentially with distance. Bottom line – the microwave is not any more dangerous to your food than an oven, stove, or fire. And a microwave is not any more dangerous to your person than any other high powered household appliance. So long as you are aware of the possibility of rapidly overcooking food, it is fine. Stay on low power and don’t leave the food unattended. Certainly it is anyone’s choice not to use one. Any activity comes with risks which must be calculated and managed. But to say a microwave is dangerous to the level said here is simply untrue.